Text and photos by Jon Guido Bertelli. Rain and an embrace of gray clouds welcomed me on my first visit to Vancouver, nevertheless I was so enchanted by the city that I decided to move there a few years later. 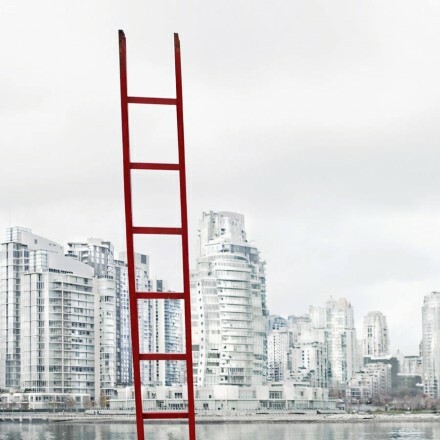 “RainCouver” as many residents jokingly call Vancouver, is not only the most expensive city in North America but has also one of the highest living standards in the world. 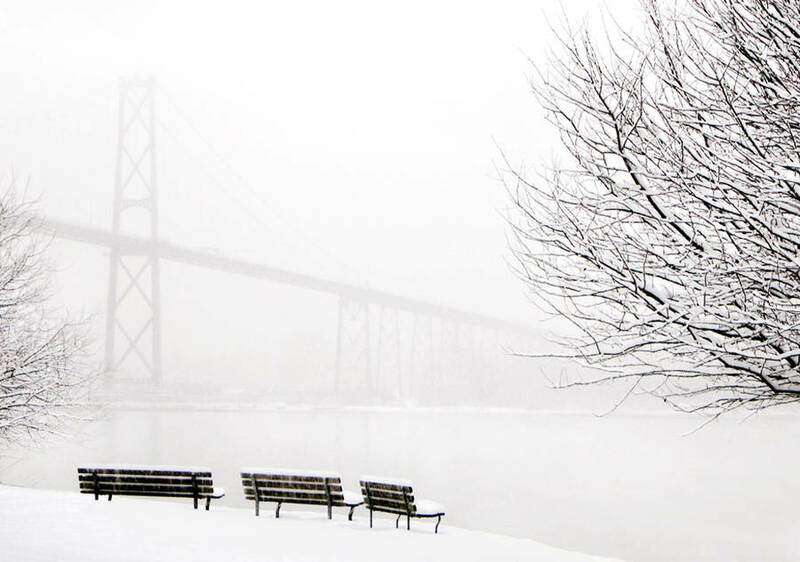 An idyllically situated seaport it is the third largest metropolitan area of Canada, with approximately 2.5 million residents. Alex taking a rest, wearing his always impeccably polished boots (reminiscent of his army days) on Blood Alley, a descriptive name left from the days when the old butcher shops used to pick up their deliveries there. Vancouver is located on the Burrard Peninsula, between the Burrard inlet to the north and the Fraser River to the south, and is beautifully framed by the Strait of Georgia to the west and the picturesque North Shore Mountains (part of the Pacific Ranges) to the north. Since that first visit to Vancouver I have been captivated by the magic of the city’s quick and constant changes in lighting: from soft to dramatic knife cutting shadows, bursting with rich contrasts, from vibrant colours to a softer palette of pastel shades and spectacular, monochromatic overcast tones accentuated by strokes of primary colors. When the curtain of an overcast day lifts, the skyline of Vancouver glitters like a multifaceted prism, reflecting varied and richly coloured images unto the buildings, changing constantly when viewed from different angles with a backdrop of the beautiful North Shore Mountains. Vancouver’s prominent Stanley Park, with its outstanding aquarium is 10% larger than New York City’s Central Park. Its bull’s-eye location gives visitors a 360-degree view of Vancouver when walking, skating or bicycling around the park and all the while enjoying the breathtaking views. The city’s modern “Glass and Steel” buildings stand hand in hand in absolute harmony besides the older buildings of the city, juxtaposing the puzzle of the past with the new. The character and soul of Vancouver breathes through everywhere, even in the smallest details of the city. Dion, “Binning” along one of the many richly ornate Vancouver Downtown Eastside alleys. This is a city, which vividly stimulates one’s sense of creativity. People from all over the world have chosen to make it their home, adding to its cosmopolitan character, its culture, and history, bringing a wide variety of international restaurants that put a smile on any food lovers’ face. 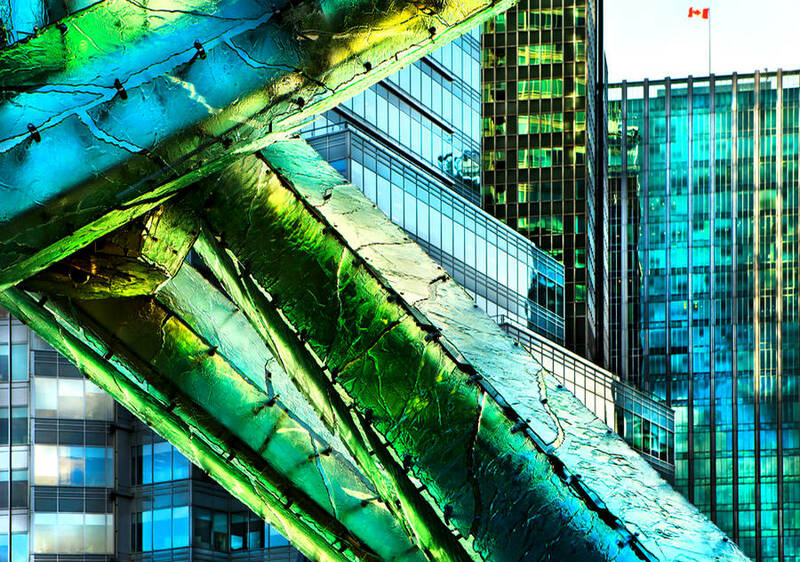 Vancouver is home to a renowned Art Museum, galleries, an Opera House and a Ballet hosting national and international artists. Away from the glitzy downtown life, restaurants, clubs and such glamorous stores as Hermés, Louis Vuitton, Cartiér, Gucci, Prada and Burberry, roaring Lamborghinis, Ferraris and Porsches cruising the streets, multi million dollar houses and condominiums blending in with the city’s landscape, sailboats interrupting the straight and peaceful horizon line in the distance. 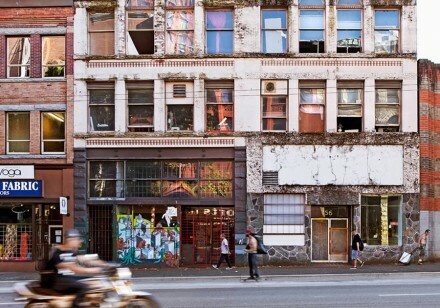 As with so many other large metropolises, Vancouver also has a side in need of help and a facelift: the Downtown Eastside. The poorest area code in Canada, this older section in the historic heart of Vancouver provides a unique dimension to the city’s “glass and steel” character. 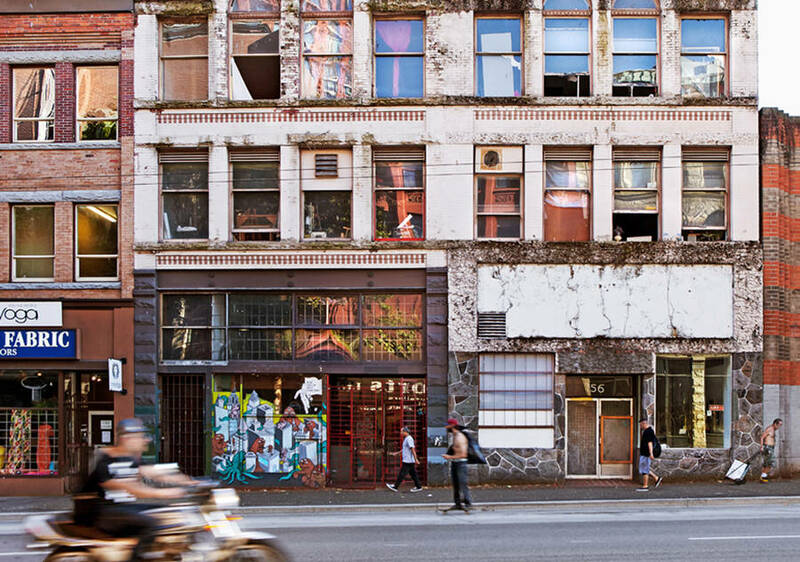 These aging, often dilapidated buildings are the forgotten facades of a more glorious past. 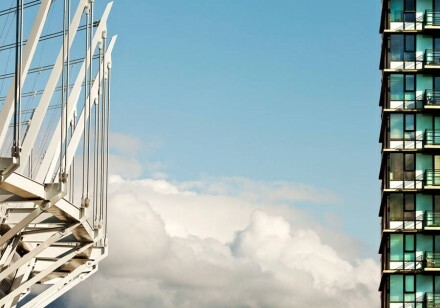 Reaching for the skies, BC Place Stadium and condominiums, Vancouver. More than thirty percent of the residents are indigenous, a ten times higher rate than any other place in Canada. More than sixty women have disappeared, presumably murdered in the neighborhood during the last decade. Even after the arrest of pig farmer William Pickton, now in prison as the mass murderer of Downtown Eastside, the trend continues, with the addition of vanishing men. 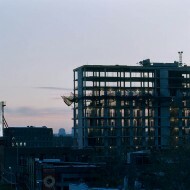 Because of Vancouver’s construction boom and the 2010 Olympic Winter Games, several hotels in the area that served as low-income housing have been demolished to make space for high-scale development projects. Housing activists have been demanding that the government build more social welfare housings and shelters for the homeless. Several organizations reaching out to the homeless are active in the area, among them the Anti-Poverty Committee, the Downtown Eastside Residents Association, the Vancouver Area Network of Drug Users (VANDU) and so many others. Anthony, reflecting on his girlfriend’s suicide and being robbed of his life savings. 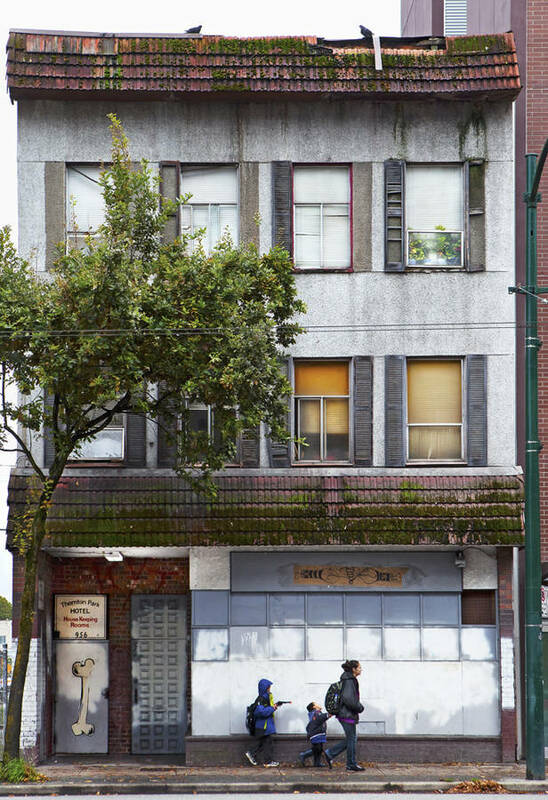 I spent a year walking the streets of Downtown Eastside, at first primarily interested in photographing the buildings surviving from an earlier chapter in the history of Vancouver. 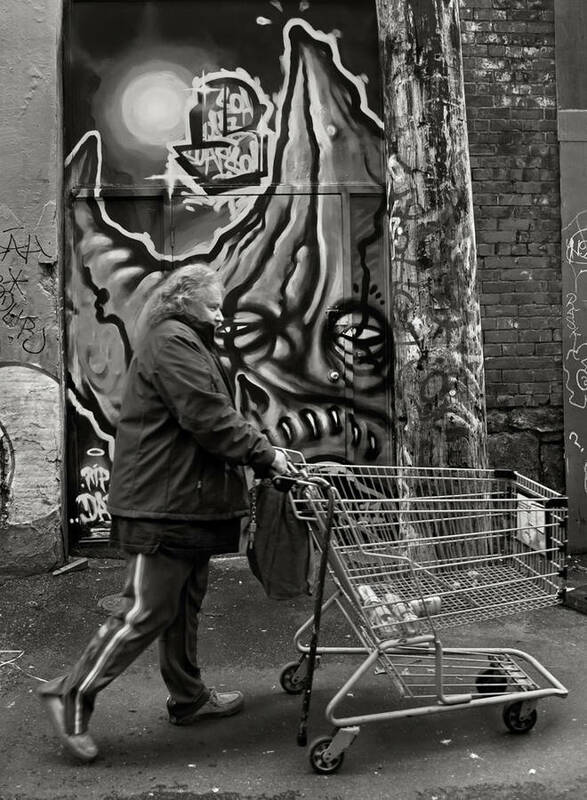 I used to have an automatic, preconceived and negative opinion of the homeless that I would encounter on my way, always trying to look busy and not to let our eyes meet, until the day when I met Alex, a bright homeless street veteran in his sixties. He approached me with a dignified “Good evening. How are you Sir?” Alex and I immediately clicked and found ourselves engaged in our first of many to come long discussions, not only about the problems of Downtown Eastside, but also about national and international politics, diet, health, art, botany, survival and so many other interesting topics. 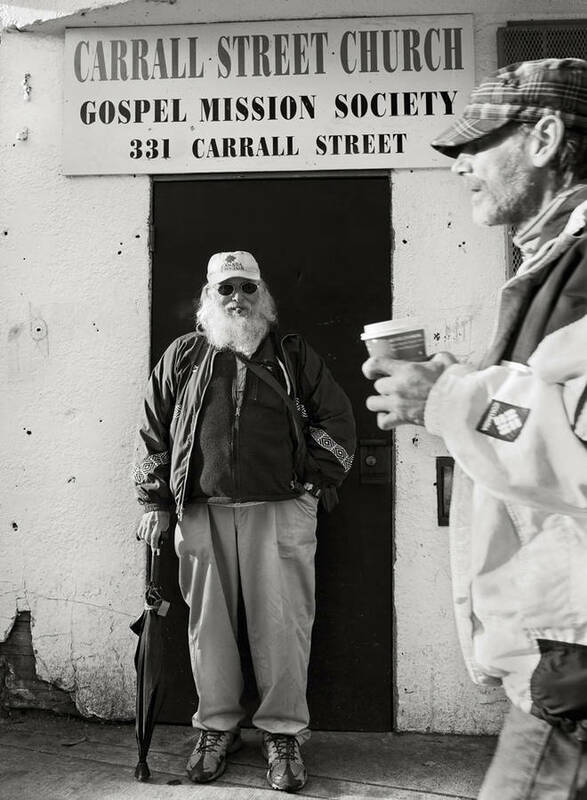 Alex, a lively and friendly Dutchman by birth, with a big, fiery reddish beard contrasting with his deep blue eyes, gave me the opportunity to meet other residents of the Downtown Eastside, to befriend, photograph and interview them, giving me a much better insight into their lives. Reflection in Flight, downtown Vancouvers. 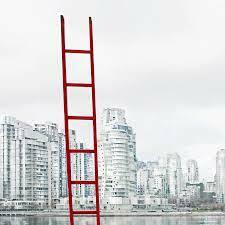 He used to work as a photo-camera technician for Polaroid, but was not able to keep up with the recent giant steps in the technology of digital photography and was quickly left without a job or new skills. He had part jobs here and there, but not enough to pay for his living expenses. 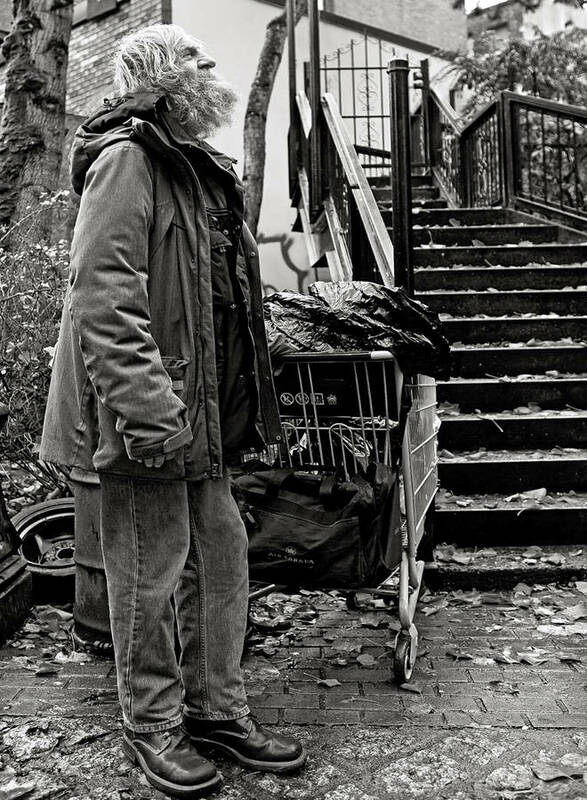 He lost his home and gradually found himself homeless on the Downtown Eastside. 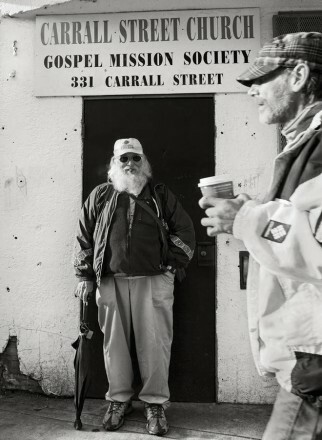 Regardless of what happened in his life, he always tries not to let anything take away from his happiness to be alive and his cheerful voice can often be heard on the Downtown Eastside streets “I’m the luckiest son of a gun in the world”! Dion, so amazing with numbers that he was not welcome to play at some of the Las Vegas’ casinos, was hit by a drunk driver in Vancouver while crossing the street and nearly died of the injuries. 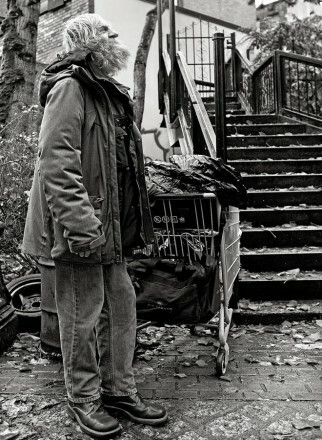 He also lost his home and found himself with an injured neck in a halo brace “binning”, picking up empty bottles and beer cans along the streets and alleys of Vancouver for deposit refunds, or anything else that he could find to make ends meet. 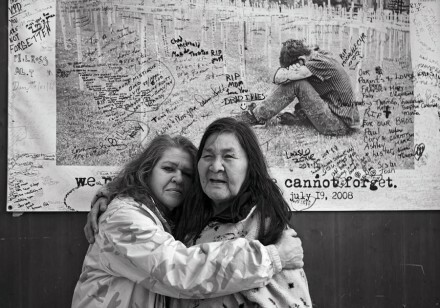 Lorna embracing her aunt in front of the “We can not forget” poster of 2008, in remembrance of the many young lives cut short, including their own kids. 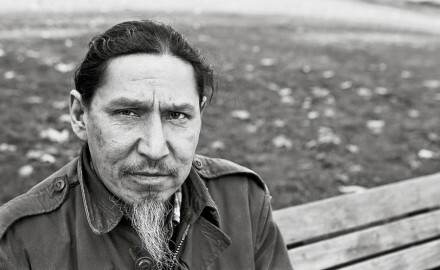 Anthony, a proud Native American of the Cree/Saulteaux First Nations, with long black hair and piercing eyes, left his reservation of Poor Man in Saskatchewan, arriving to Vancouver as a native artist and a musician. He taught Native American art history at college level and was the Director of one of Vancouver’s Art Galleries. Anthony is a traditional Native American singer, who also plays the flute and the drum. He has performed in Canada, the USA and Mexico. He even added his voice as a traditional singer on one of the multi award winning and Juno award nominated Canadian First Nation singer Sandy Scofield’s CD, Dirty River. Anthony never got over the tragic suicide of his young girlfriend of five years and being robbed later of his life’s savings, two devastating episodes that brought him unfortunately to the Downtown Eastside. Enteing Downttown Eastside, Hastings Street, Vancouver. As he says ”It’s hard, very hard to get back up. To have the incentive or the strength to do anything! 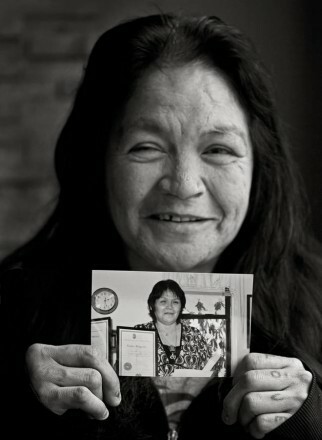 Lorna, of a mixed Native American ancestry, has lived for the most of her life in the Vancouver Downtown Eastside. 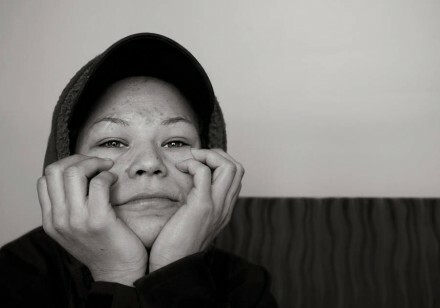 One of her daughters died of AIDS and another of an overdose in one of the Eastside alleys, reasons that keep her a staunch member in organizations committed to help the homeless, the women at risk and the addicts in her community. Liza, from Flying Dust, a small Cree reservation in North Saskatchewan, with a population of just over 500 people, moved to Vancouver captivated by the life in the big city, but soon found herself in the Downtown Eastside trying to support her addiction. She is not only beautiful, but a kind and bright young lady who, at the age of 11 took upon herself the responsibility of caring for her siblings after their mother moved to Edmonton. Pregnant for the first time at fourteen, she now has ten children and is already a grandmother at the age of thirty-one. Liza, a beautiful young lady, not only a mother of ten kids but also a grandmother at the age of thirty-one. She warned me not to blindly trust anybody in the area, even telling me once “I don’t cheat, I don’t lie and I don’t steal … that’s the real me. That’s me with a heart, I have a heart! I’ll give you what I have if I see that you need it, but come dark-time in my addiction, I will take everything you have of value”. Lisa was able to leave the Downtown Eastside and was able to kick the habit a couple of times, but sooner or later always found her way back there, as so many others do. With her head in her hands, she told me that the area is not only addictive to drugs, but also to the place itself, life and the people. It just draws you back in; it has a grip on you and doesn’t let go. Amy, born in Edmonton, Alberta, but brought up in a small town along the Sunshine Coast, British Columbia, moved to Vancouver at eighteen. A “Tom Boy” as a kid, she was always trying to keep up with her three older brothers, drinking, going to bush parties and “doing stupid things” as she says. She left home at fourteen, quit school and decided to go prawn fishing, a well-paying job that introduced her to “coke” at fifteen. By the age of twenty-one, she was hooked on heroin. 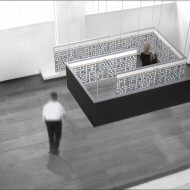 Trying to leave her addictions behind, she and her husband checked themselves into detoxification centers. Finally, both of them succeeded and were clean of drugs. Not only were they later able to buy a house, a truck, a boat, but they even had a son. As Amy says, however, “My life is like a revolving door. The drugs took over again, even when I tried my hardest. Drugs linger like a bad smell that you can’t escape”. Looking up, her eyes filled with tears of despair, she told me that she had lost everything, including her precious two-year-old son, taken away and put into the care of a foster home. Amy, who has constantly been fighting her drug addiction, says that drugs linger like a bad smell that you can’t escape. Violet, a Saulteaux Native from Northern Manitoba, left home and her reservation while barely a teenager, shortly after her mother killed her father. 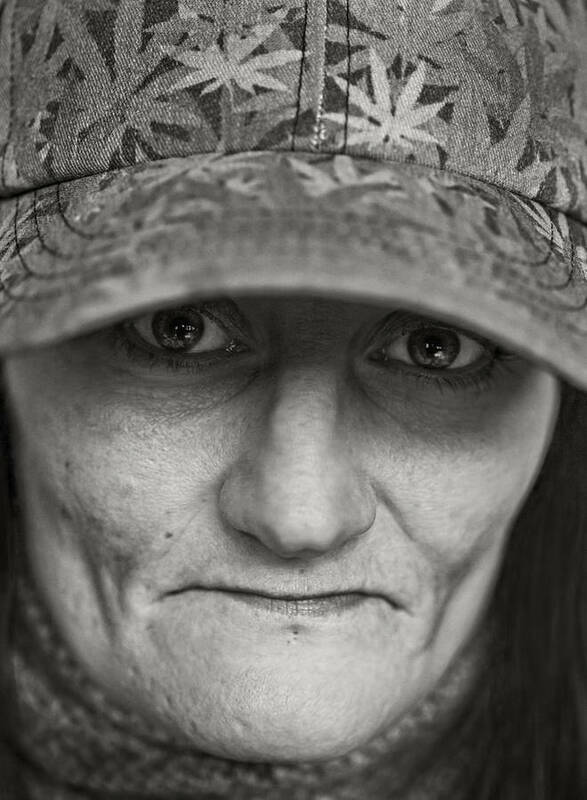 She found herself homeless, an addict wandering around and trying to survive the streets of Canada’s main cities, ending up on Vancouver’s Downtown Eastside thirteen years ago, sick, having lost one kidney to cancer, with pulmonary edema (fluids in the lungs) attributed to her bad heart. She is never certain whether she will even wake up the next morning. Regardless of all her life’s misfortunes, Violet had the strength to defeat and remain free of illicit substances until the shattering death of her husband. Not wishing young girls to end up in her same situation, she tirelessly tries to frighten and convince as many of them as possible to leave the area, telling them that they will sooner or later end up like her, an addict, sick, in a wheelchair: somebody who has lost everything dear to her, including her four children who were taken away from her. Joe the pastor, preacher at the Carrall Street Church. She is a member of the Western Aboriginal Harm Reduction Society (W.A.H.R.S. ), an outreach organization run by aboriginal people, which recognizes that the problems caused by epidemics, alcoholism, rubbing alcohol, Lysol, mouthwash, drugs and many other factors have hit the native population the hardest. These are only a very few of the many devastating life stories that have found their way to the streets and dark alleys of Downtown Eastside, human dramas that could happen to any of us. They live month to month on welfare cheques, barely enough to cover the rapidly increasing rents which displace the residents and create more homelessness. Some of them are reduced to sleeping in doorways, under plastic sheeting or in cardboard boxes, looking for the comfort of some warmth from hot air-ducts during the winter, or simply finding refuge in a dirty, wet sleeping bag along the streets. The City of Vancouver’s Downtown Eastside (DTES) Local Area Plan is focused on helping its low-income residents, to improve the community, improve their quality of life, work for social justice and meet the many challenges brought by drug use, alcoholism, crime, housing issues, abuse, illnesses and unemployment. The DTES works in partnership with the DTES Neighborhood Council, the Building Community Society and the Local Area Planning Committee. Violet, holding up a photograph of herself with the certificate of being clean of drugs. The council is committed to increase affordable housing for all residents and end homelessness by 2015. 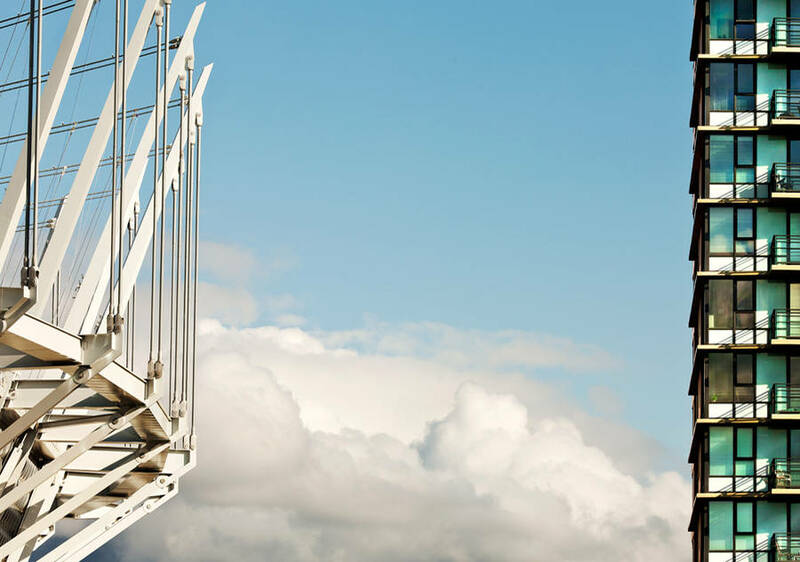 Vancouver is seeking to build approximately 500 new affordable housing units on city owned sites, as part of its More Homes – More Affordability program. I have strong hopes that the plans and the optimism for a better future for these often forgotten people in the Vancouver Downtown Eastside will become a reality in 2015, bringing them out from the darkness and back to the light of a more dignified life. For more information, please visit Jon Guido Bertelli homepage and take a look at these Vancouver Downtown Eastside websites: vandu, dnchome, Building Community Society. Contrasts! Bertelli has deftly impressed that message with his photos and commentary. Moving photo-journalism. Thanks, Jon, for revealing the hard reality of poverty, many being indigenous Americans, in juxtaposition to the more visible slick sophistication of Vancouver. Great photos and a wonderful message. Photo-journalism at its best. This is a group of seemingly artless, simple documentary photographs which draw you into that eastern region of the city, and the poignant glimpses of the residents’ lives provided by the text further strengthen the impact without seeming redundant. This is a caring, non-judgemental, very thoughtful introduction to East Vancouver. I highly recommend it. A very interesting article. Jon gets us to enjoy the attractions of Vancouver at its finest and then brings us to Downtown East Side where there are so many tragic stories to be told. Each and everyone of the people mentioned in Jon’s article have a story of their own. Who are we to judge them? Hopefully council will make good of its word “to increase affordable housing for all residents and end homelessness by 2015″. I really like the article and the pictures that accompanied it. All the best and good luck in your future endeavours! Great work! very powerful stories! 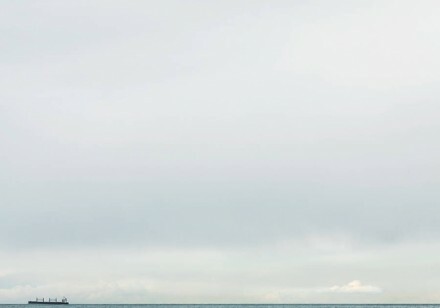 Great photos and article charged with sensibility. Jon Guido, you touched my heart with your photos and stories. I am telling others about your Vancouver exhibit. Beautiful, sad, hopeful and riveting. Another wonderful tale from an amazing storyteller. Me, knowing close to zero about Vancouver … Well, I think it really makes no difference looking at these photos to Jon Guido Bertelli. He has really the photographer’s artistic eye for contrasts whatever Metropolis his camera eye captures. 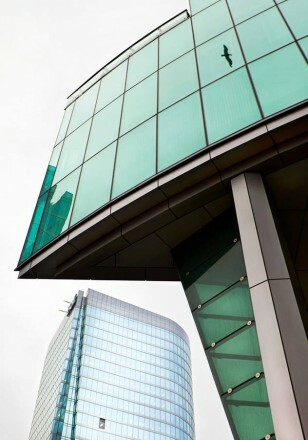 High up the posh sterile glass facades as a picture of succesful CitySlick business life. And down below, in the dirt, the others, the drop-outs, the missfits. Crooked houses and human waste. But there is no anger, no accusation, no retribution in those pictures. Despite the tough conditions, I see humor, warmth and compassion. It is just so great and well done. Felicidades Jon verdaderamente eres un gran artista tu trabajo es muy bueno!!! Excellent article. If there were such a thing as a required reading list for tourists, this would top that list. Very vivid. Truly puts the city in perspective. It’s also thought provoking in the sense that it reminds the reader that everyone with whom he or she makes contact has a story….a set of events and decisions that have culminated in what we see and perceive. Dear Guido, the first time I saw your photos during your exhibit at the Vancouver Italian Cultural Institute I was impressed by your sensitivity, by your eye’s ability to juxtapose extremes and the unexpected, forcing the viewer to “see” finally what he had always merely looked through. This piece of photo-journalism combines the same technique in both media. Marvelous impact. In my other life, when I worked at a large bank in Wall St., I would walk from the ferryboat station to the Federal Reserve Bank passing through the most rundown area of Manhattan. The contrast of values and life conditions was incredible, two worlds separated by a no-man land of one or two blocks. Yet the words of Liza were so apt there as well. The humanity and generosity could not have been more sharply contrasted in those two worlds. Guido, your article and photos are not those of a casual observes, an outsider looking in with a telephoto lens. No you have gone inside that world, inside their lives and with great sensitivity have given a voice to each of them. I happen to know the area quite well, as I was co-director of a program at Co-op Radio on Columbia and Hastings. I bring my granddaughters there to have them see and understand and not judge. Congratulation for a wonderful and sensitive work. If you don’t mind, I will post with this a poem I wrote a few months ago precisely on this world. 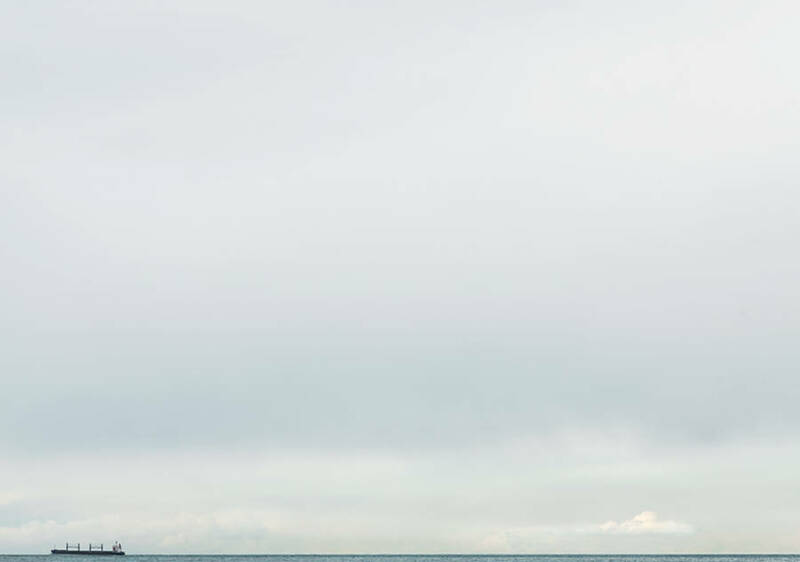 Jon’s photos are always wonderful. I love his ability to catch the moment!! I have lived in Vancouver for 13 years and I needed someone like Guido Bertelli to make me see what I had had before my very eyes all along. Bauriful piece, touching stories, but the most compelling of all are the photographs themselves. El arte, en cualquiera de sus expresiones, es un reflejo de nuestra sociedad vista a través de los ojos del artista. La fotografía de Jon Bertelli en “Vancuver, ciudad de contrastes” nos muestra un lado impotante de la ciudad (si bien menos glamoroso que lo acostumbrado), verdadero e impactante. 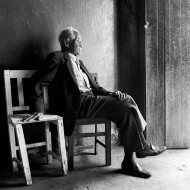 El periodismo fotográfico de Bertelli es extraordinario. En éste, como en sus anteriores trabajos, las imágenes y los textos demuestran un profundo entendimiento de la estética y una sensibilidad humana y social que son descritos por el artista con singular elegancia y maestría. Felicitaciones señor Bertelli por compartirnos un trabajo de tal calidad! Jon. Many times we walk quickly by the homeless or pretend we don’t see them. They have history and a story. You have taken the time to tell their story both sad and true. Through your eyes and a click of your camera, you support their story. Jon Bertelli’s eye is so to-the-heart-of-what-matters! Sempre e comunque complimenti vivissimi per le tue storie, raccontate magistralmente con eccellenti immagini! What a fabulous show of photos and contrasts in the metropolitan city of Vancouver. Most people would just walk by the homeless and ignore them. I especially liked the personal stories of the people Jon Bertelli encountered and befriended. He is not only an outstanding master of photography, but historian of culture and people. Thank you for having this material published for others to share. It’s always difficult to photograph a place, a city without falling into a trap and submit a series of cliches. But in this work by Guido the combination of portraits, urban landscapes and street scenes work very well and gives a good portraits of a city, with its strengths and weakness. The stories add interest to the images. I like this work, and I have learned something out of it.